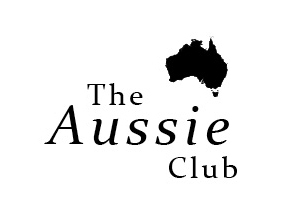 The Aussie Club, is the San Francisco Bay Area’s premier Australian/American business network and forum for senior executives. The Patron of The Aussie Club is the Australian Consul-General and Senior Trade & Investment Commissioner. The Aussie Club introduces Bay Area senior business executives to prominent Australian business and political leaders through a dynamic program of round-table discussions, panel discussions and speaker series. This program provides unique insights into Australia’s business, economic, political and cultural environments and provides local business leaders with opportunities to develop new networks and synergies. Membership in The Aussie Club offers a unique forum to network with an exclusive group of senior executives not only based here in the Bay Area but also visiting dignitaries and executives from Australia. Our dynamic programs feature Australian connections, up-and-coming executives and national business leaders. For more information on the Aussie Club, please do not hesitate to contact Dawn Lillington at dawn@sfaussies.com or 415 485 6718. We look forward to welcoming you to The Aussie Club.